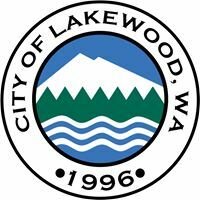 Here are the latest draft changes to Lakewood Municipal Code (LMC) Title 18A. You can view the materials from the February 20 Planning Commission meeting, where Chapters 18A.10, 18A.20, and 18A.30 were reviewed, here. Under development - please check back. Please see City Ordinance 703 for the WSF interim controls. The City Council adopted the Ordinance on January 22 and it will be in effect until July 22. The Sign Code update is proceeding independently and was considered by the City Council starting on March 11, 2019.